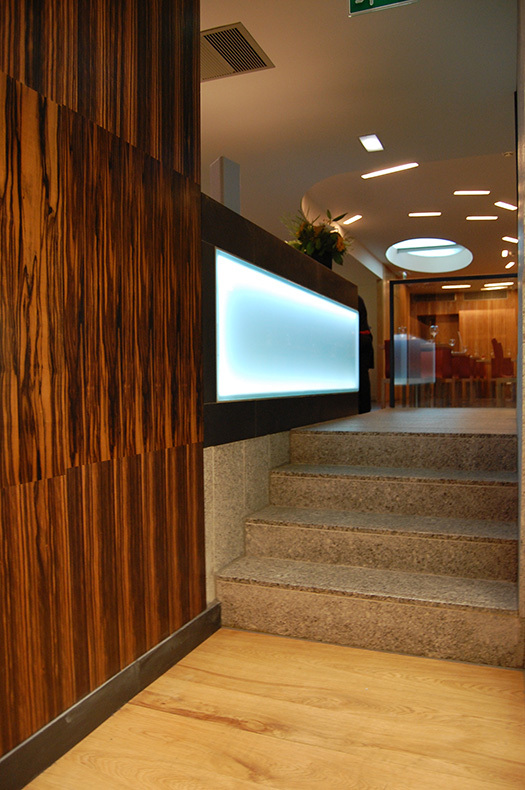 The underlying approach was to use classic materials in a modern idiom. 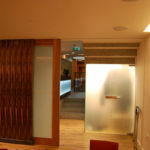 Blue Slate floor, timber panelling and leather walls. 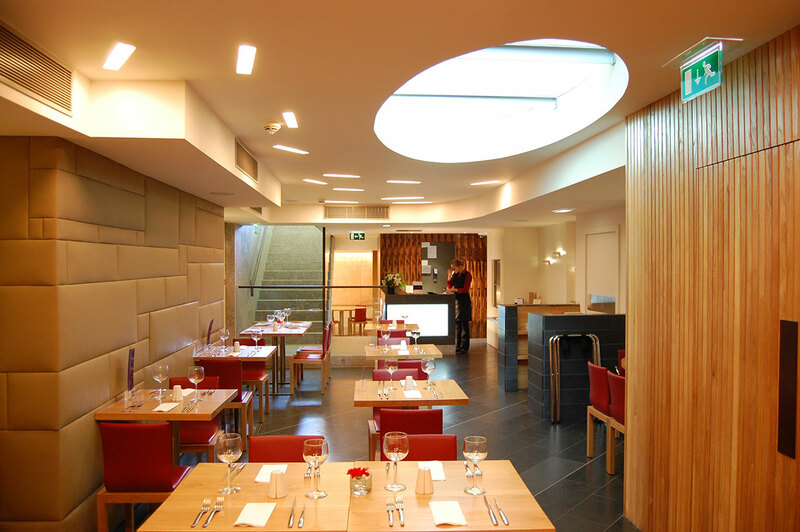 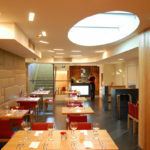 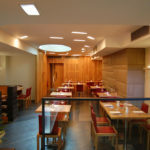 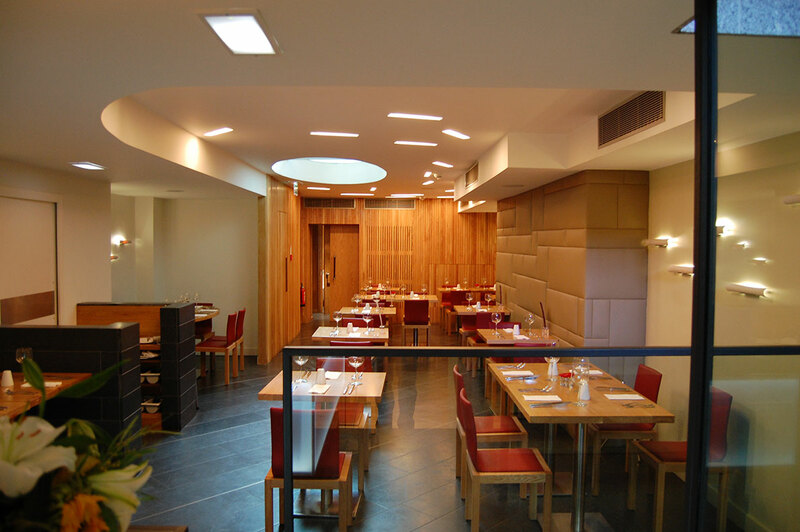 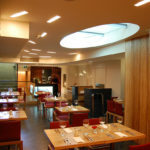 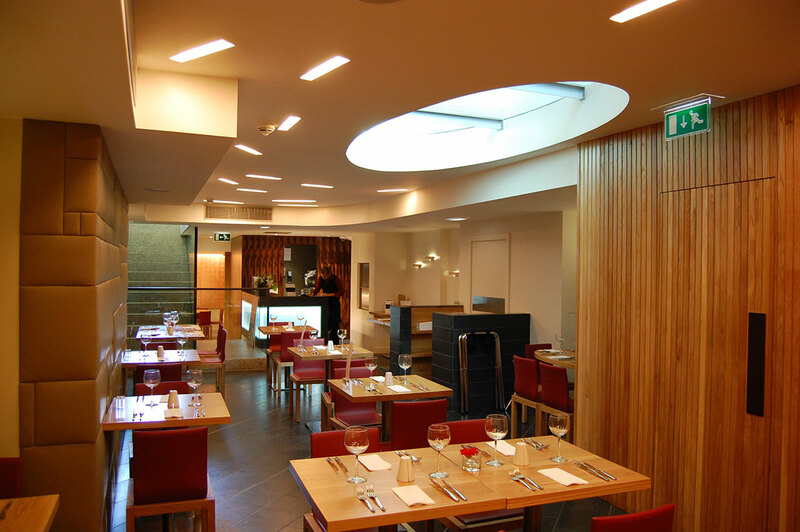 The part of the ceiling is glazed to allow the sun to act as a sun dial for the lunchtime menu. 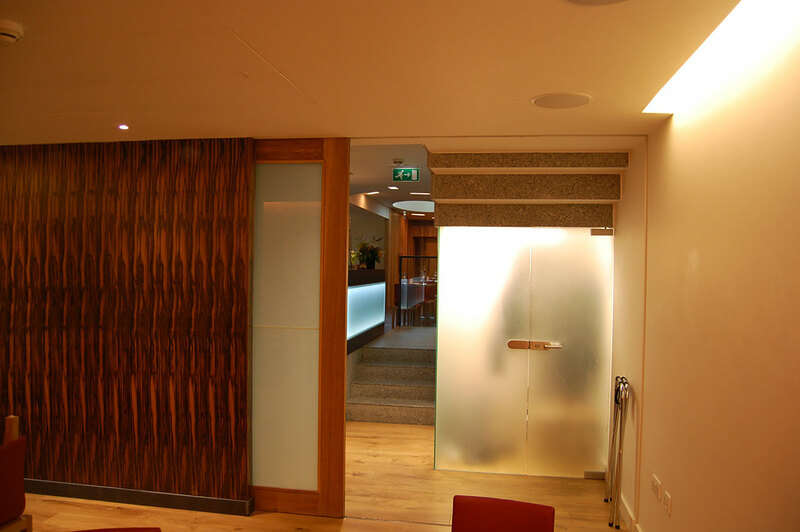 The ‘Copper Room’ has wall panels covered in copper leaf to reflect the light and to balance the ebony-maccassar timber panelling. 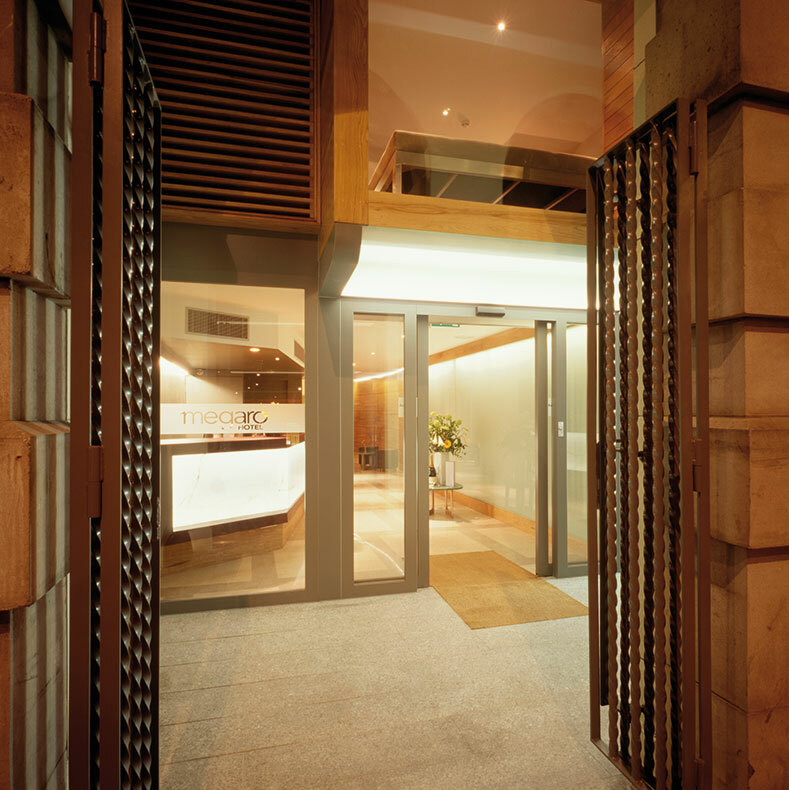 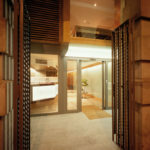 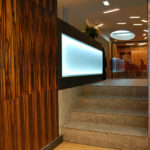 The entrance is an illuminated granite stair.